A little bit of this, and a helluva lot of that. 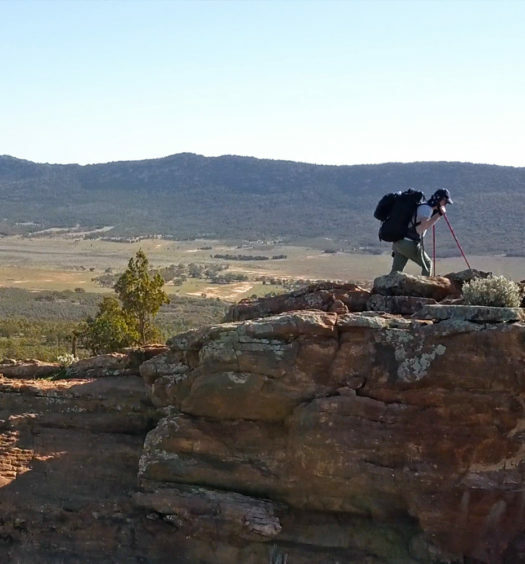 By the end of Week Five, I had experienced a glut of astonishing South Australian landscapes. 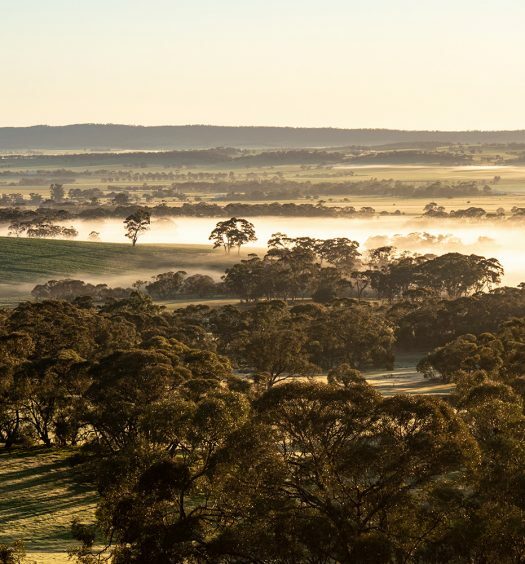 I’d hiked over steepling ranges, through rolling paddocks, amongst fledgling crops, into dense conservation parklands, along rocky creek beds and beside bustling highways. 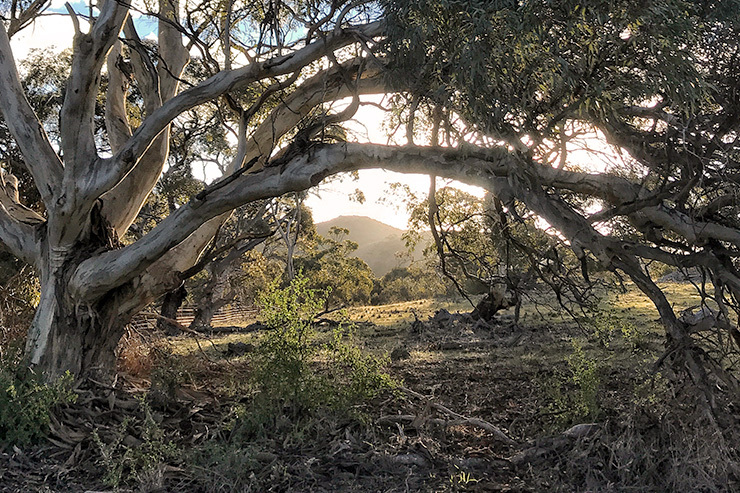 The Heysen Trail contains an unimaginable amount of variety, and yet, somehow, Day 35 encapsulated much of its wild diversity within the space of 21 kilometres. I couldn’t have set up my tent any faster at the end of an unruly Day 34. World’s End Hike-In Campsite appeared just before my battle-wearied body collapsed in a heap. 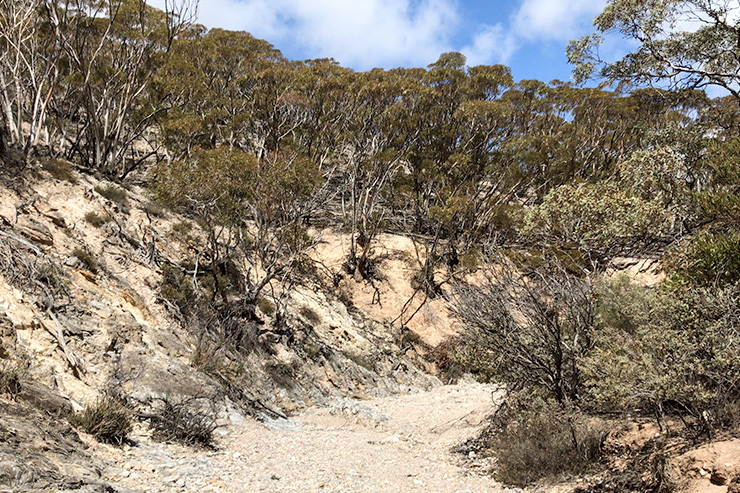 Although, if I’d had the energy to look (and consequently walk) another few hundred metres up the track, I would have discovered the World’s End Reserve Campground. Complete with a toilet, fire pits and picnic area the facilities were far superior to my nights’ humble dwelling. World’s End Reserve (Burra Creek Gorge) is rich in biodiversity, with large river red gums and mallee scrubland present. Students from local schools plant trees every year to further the habitat. When I walked into the grounds the next morning, the jarring noise of kids screaming, dogs barking and the thuds of drum and bass music reverberated through the scrubland. A popular spot, by the sounds of it. Bewildered by the surprise cacophony, my boot trampled a rogue rum can as I walked through the dusty carpark – one of several that remained after a late night of drinking shenanigans. In hindsight, the better-equipped reserve wasn’t for me. The path along the neighbouring Burra Gorge was considerably more tranquil. Native flowers sprouted from the rocky channel as birds twittered and swooped through the overhanging gums. The route soon joined the industrious World’s End Highway, then cut along another track into the rare grasslands of the Hallelujah Hills. The journey led me along ephemeral creeks, up arid slopes, through dense ridgelines and finally out onto a grassy hilltop overlooking undulating grazing lands. …to think I started the day in a green paddock. I stood and absorbed the abrupt change of landscape for some time before I realised I wasn’t the only one admiring the panoramic view. A young couple and their dog were sitting in the back of their ute some way along the range. The pooch sniffed me out and soon came bounding over to offer a raucous welcome. We soon began talking and Ben, Edwina and I all shared mutual friends. In fact, Ben and I attended the same Barossa Valley high school. Only in South Australia could you be, quite literally, out in the middle of nowhere and bump into an acquaintance. Vintage SA. Cue the fireworks for another glorious sunset. 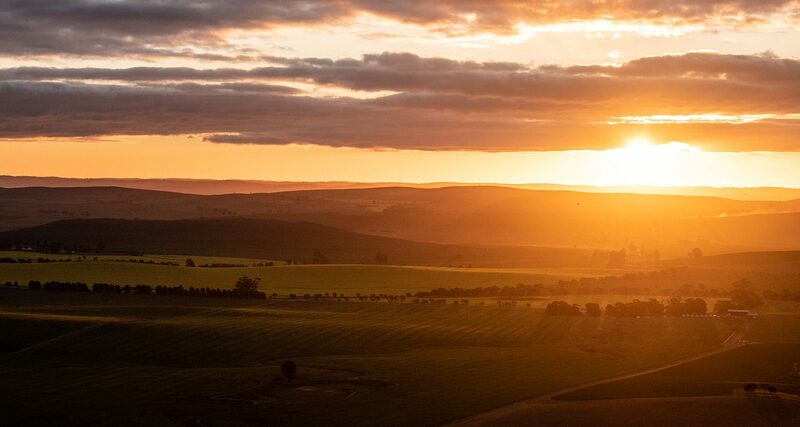 The scenes throughout the day were unquestionably beautiful; however, none came close to the sunset view aloft Tothill Range later in the evening. Soft dabs of light filtered through the gathering clouds and illuminated the pristine countryside. 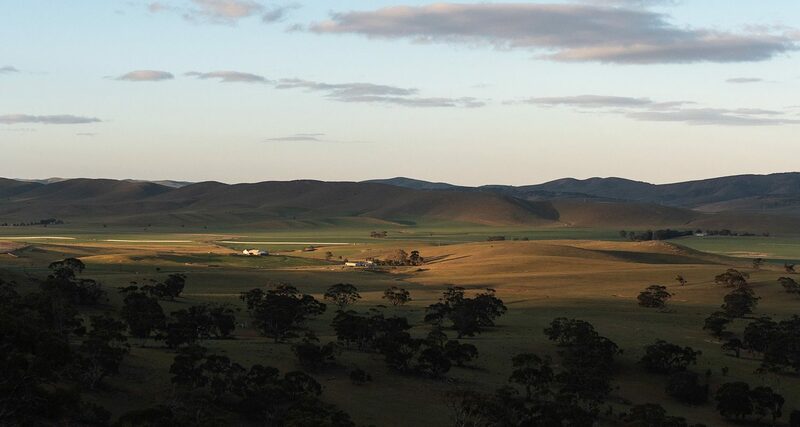 This perfectly provincial background appeared to have been released from one of Sir Hans Heysen’s famous landscapes. I sat transfixed at the lookout until the sun had set and my bones had begun to freeze. The summit’s crisp breeze had strengthened to a walloping gale by the time I reached the Huppatz Hut at the foothills of the range. The walls of the tin-lined shelter rattled as I prepared my dinner, an ominous sign for a gusty start to Day 36. Be prepared for a mixed bag of everything. The march up the towering Tothill Range is a doozy.